Beauty Best Nail Art: 2011 Las Vegas Weekly Awards! 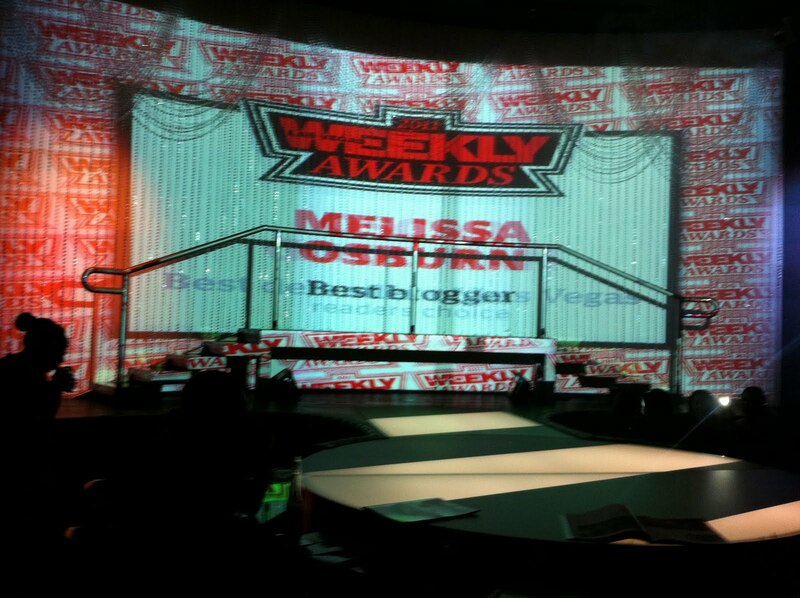 This past Wednesday I was invited to attend an event held by the Las Vegas Weekly, a weekly magazine here in Las Vegas. 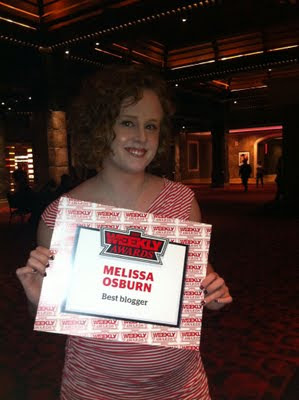 I was selected as the recipient of the 2011 'Best Blogger' award in the 2011 Weekly awards!! SO exciting!! 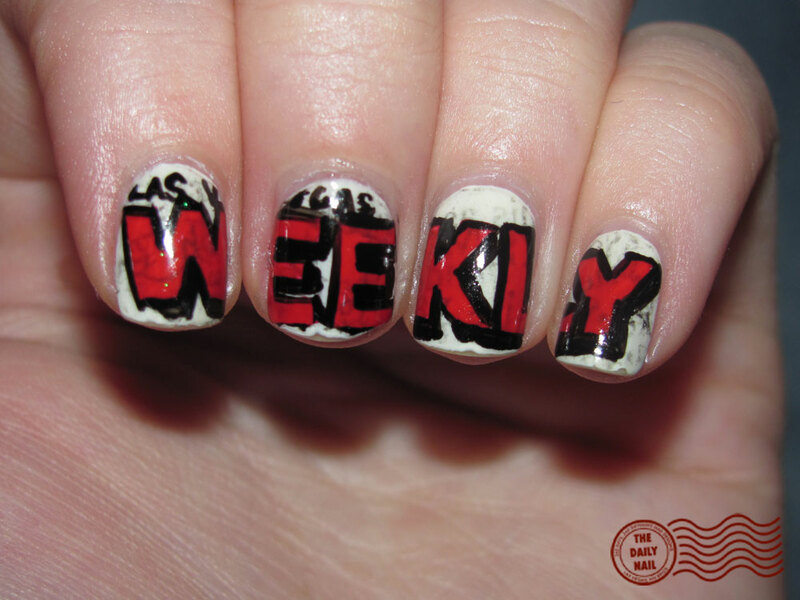 :) Of course, since I was going to the event, I had to do Las Vegas Weekly nails, so I used one of the copies of when the story about me was in the Weekly last May to work into the manicure. (I was a tad overzealous in getting spare copies to keep, so I had a few issues to spare :-P) Check out the blurb about the award here! I used American Apparel Cotton as a base, with Claire's Stiletto for the red, and American Apparel Hassid for the black. Topped it all off with two coats of Seche Vite top coat.